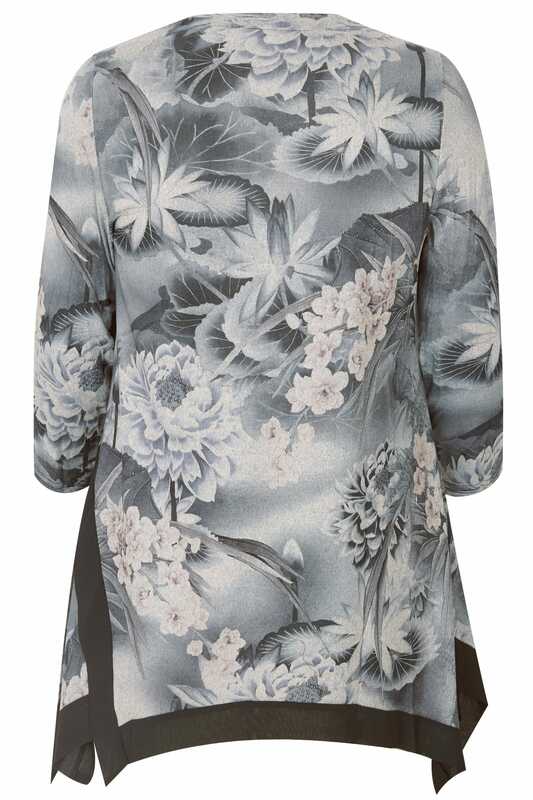 Style out the season in this longline top from Izabel London. 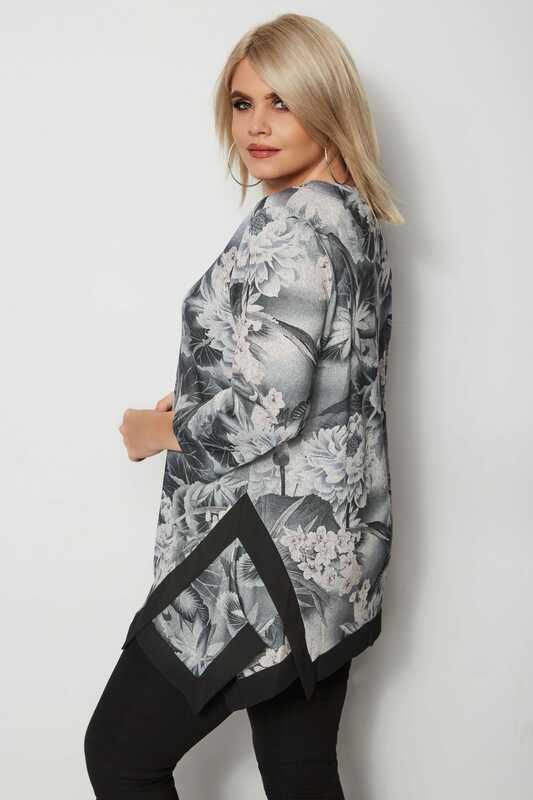 Made from a soft knit fabric, it features an asymmetric hanky hem for a flattering finish, a simple scooped neckline and long sleeves. Style with a pair of skinny denim and flats for everyday appeal. 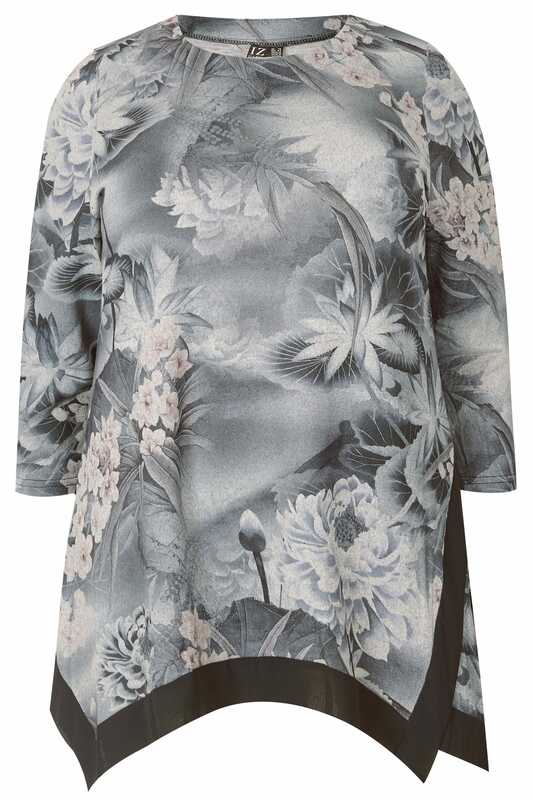 In a dark grey hue, it showcases a flourishing all-over floral print and a chic chiffon hem.